How does turmeric help Irritable Bowel Syndrome? Turmeric is a spice that’s primarily grown in India - the deep yellow colour we associate with curry comes from turmeric. It’s been used in cooking and as a medicine in India for over 5,000 years, and here in the Western world, we’re only just cottoning on. Its active ingredient is a compound called curcumin, which has scientifically proven anti-inflammatory and antioxidant benefits. Irritable Bowel Syndrome, or IBS, is a common condition of the digestive system. It causes bloating and cramps and regular periods of either diarrhoea or constipation. It’s a long-term condition suffered by hundreds of thousands or people. In fact, it’s thought that one in five people will suffer at some point in their life, it usually develops at around 20 to 30 years old. It’s exacerbated by stress and certain trigger foods and can even be lifelong. The exact cause is still unknown but studies are emerging and it’s thought to be caused by problems digesting food and sensitivity in the nerves of the gut. Its management is often down to the sufferer, as once anything else more sinister has been ruled out, then there isn’t much doctors can do. Sufferers are advised to avoid their trigger foods and minimise stress, eat plenty of fibre, stay within the alcohol guidelines and take regular exercise. Which is pretty much what we’re all told to do anyway! Occasionally anti-spasmodic drugs are prescribed to help prevent cramps but as the symptoms are often periodic, managing IBS with these drugs is tricky. Plus, some of these drugs are expensive and cause side effects in some patients. But, what if there was a natural, organic food with no side effects that could help? One that was readily available, cost effective and already on the market? Enter our superhero, turmeric! Turmeric has been used for thousands of years in Indian and Chinese medicine to treat digestive complaints. It’s high time we looked into this more deeply. There are many ongoing studies into turmeric and IBS. One found that around two thirds of subjects (of a total of 207) reported an overall improvement in IBS symptoms after eight weeks of taking turmeric supplements. The study found that the subjects reported a decrease in IBS related pain and discomfort, and a ‘favourable shift in self-reported bowel patterns’. There’s no getting around an article on IBS without mentioning the kinds of things you wouldn’t mention in polite society, but the following symptoms were reported as being reduced during trials – abdominal pain, bloating, incomplete defecation, urgency in defecation, fluctuations in bowel habits, frequency of defecation, nausea and painful defecation. These are all unpleasant symptoms to live with, so these studies are very exciting, and it’s why bigger studies, and placebo controlled trials are needed. And it’s why we so passionately believe in our products. So, how do scientists think turmeric works on IBS? Curcumin found in turmeric helps promote the production of digestive enzymes. It’s these enzymes that our bodies use to break down our food into nutrients that it can use. Sometimes, due to stress and getting older, we don’t produce enough of these enzymes to break down our food. This means that food can stay in our gut and begin to stagnate and release toxins. This then causes mild inflammation in the gut which can lead to IBS flare ups. The fact that the food is stagnating, and not moving, causes a sluggish bowel and consequently, constipation, another symptom of IBS. Because curcumin helps the production of digestive enzymes, we can see how turmeric supplementation can help sufferers of IBS. 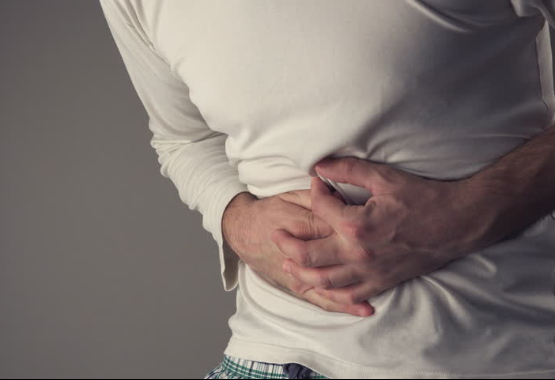 A complex condition called visceral hypersensitivity refers to the pain felt in internal organs, most notably, the gastrointestinal tract in IBS sufferers. The gut has a very large nervous system and in visceral hypersensitivity, it’s thought that there may be problems with these nerves, or in the nervous connections between the gut and the brain. Visceral hypersensitivity is now being studied as a cause of IBS. Sufferers will feel pain in response to gut stimulation, i.e. the passage of food. 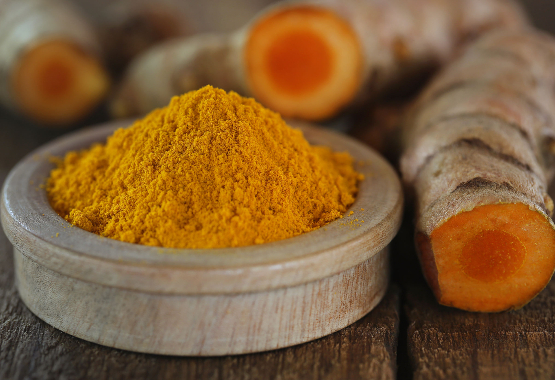 Studies have shown that curcumin plays a role in the management of visceral hypersensitivity. The same paper discussed the role of curcumin in reducing bowel distension, or bloating, and was even deemed ‘remarkable’. It has also been shown, that whilst Irritable Bowel Syndrome isn’t classed as an inflammatory bowel condition, it has recently been shown to be associated with low grade inflammation of the intestinal mucosa (the soft, often wet, tissues found in our gut, mouths, eyes and tongue etc). Therefore, it stands to reason that the well-known anti-inflammatory properties of turmeric and curcumin are beneficial to sufferers of IBS. Another study also linked turmeric’s antibacterial, anti-inflammatory, and spasmolytic activities (that last one is a muscle relaxant, to me and you) to the potential treatment of IBS. In addition to this, studies have proven that curcumin accumulates mainly in the large intestines which could explain why it has such exciting results in the management of IBS and other bowel diseases. One note of caution. Although turmeric in high doses has no known side effects, taken in excess, it can cause indigestion, nausea and diarrhoea, which obviously if you’re suffering with IBS, you don’t want. We state the recommended dose on all of our turmeric products and stay within the guidelines recommended by the University of Maryland Medical Research Centre of 1-3 grams of turmeric. At our dose, you will get all the benefits and no unwanted side effects but if you do notice any, stop taking your turmeric.